Surgery forms the corner stone in the management of solid tumors. Surgery is used to diagnose, stage and treat cancer, and to manage certain cancer-related symptoms. 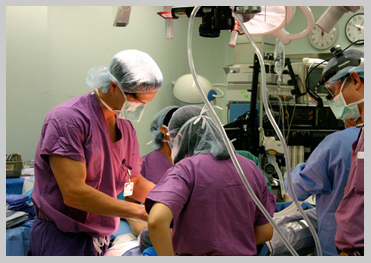 We have fully equipped three operation theaters with facilities for all types of oncosurgeries. As conservative surgery and organ preservation is the need of the day. We focus on micro vascular reconstruction and breast conservation surgeries. 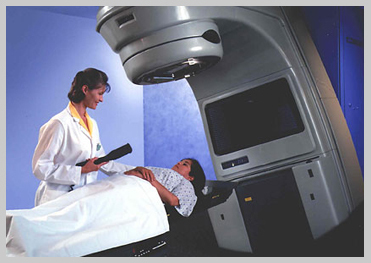 Treatment of malignant tumors and some of benign neoplasm’s by ionizing radiation –X-Rays and Gamma rays, also by subatomic particles like Electrons and Protons. Radiotherapy uses ionizing radiation to destroy cancer cells by making them unable to grow and reproduce. It may be given on its own or in combination with other treatments such as surgery, chemotherapy or hormones. The treatment is usually given externally, using an external beam radiotherapy machine, or internally, using radioactive sources. When external beam radiotherapy is used, it is targeted on the treatment area and is designed to limit radiation reaching the surrounding normal tissue and so minimise the side effects. Rapidly developing technologies and techniques provides excellent normal tissue sparing with escalating doses to the tumor tissues. To all of cancer require radiation treatment at some time in their evolution for radical to palliative purposes. Cancer therapeutics with chemical molecules; commonly termed chemotherapy. Also, includes newly developed targeted treatments against specific receptor present on the cancer cells, both curative and palliative goals. Chemotherapeutic drugs work by impairing mitosis (cell division). Chemotherapeutic agents act by killing cells that divide rapidly, one of the main properties of most cancer cells. In that way, chemotherapy also harms cells that divide rapidly under normal circumstances: cells in the bone marrow, digestive tract, and hair follicles. This results in the most common side-effects of chemotherapy: myelosuppression (decreased production of blood cells) immunosuppression (prone to infections), mucositis (inflammation of the lining of the digestive tract), and alopecia (hair loss). Medical physicists are involved with responsibilities in areas of diagnosis and treatment of malignant diseases. 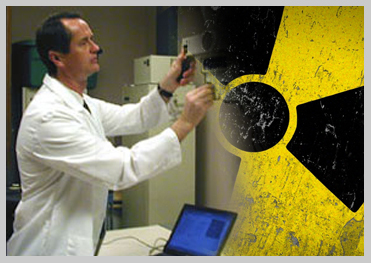 In radiation oncology departments, advising colleagues on issues that may affect the radiation dose delivered to the patient, using either externalradiation beams or internal radioactive sources. Checking treatment plans before the patient starts treatment. Calibrating the treatment machine, so that machine delivers the correct dose to the patient. Other important services are investigation of equipment performance, organization of quality control in imaging systems, design of radiation installations, and control of radiation hazards.